Move-in ready! 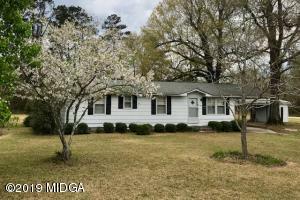 One level starter home or investment property convenient to I-16, GEICO and YKK. Must see! 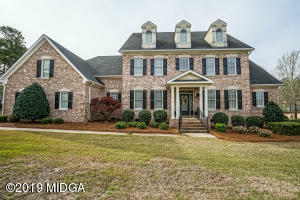 Stately five bedroom/3.5 bath, brick home on a level, landscaped lot in one of North Macon’s finest subdivisions. Separate formal Living Room & Dining Room with coffered ceilings, gourmet kitchen with stainless steel appliances, custom cabinetry, gas range, and new granite counter tops; Keeping room with fireplace, huge two story Great Room with B-I bookshelves, fireplace and mounted television; Master on main with large W-I closet, whirlpool tub and separate shower; All new hardwood floors on main level and freshly painted rooms; Four large bedrooms and two full bathrooms upstairs along with a massive recreation room equipped with a wt-bar and a state-of-the-art Theater Room with screen and sound system; New Rennai tankless water heater system, central vacuum system and security system. Living made easy in this stately brick beauty. The spacious bedrooms, open & airy gathering areas; multiple walk-in closets, will fulfill the needs of a large family. 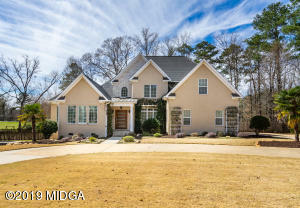 Located in one of Middle Georgia’s favorite golf communities. The floor plan features four spacious bedrooms, over-sized bonus room and three and a half baths. An eye-catching kitchen that flows through to the formal dining room, gathering room and fireplace family room . The owner’s suite is complete with walk-in closet, bath with two vanities and trey ceiling. 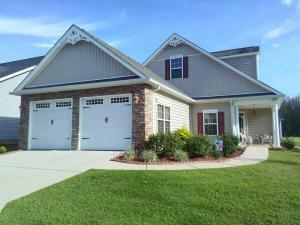 You can not overlook the spacious level front yard, backyard and deck for family outside entertaining. call today to view.This property comes with a transferable Home Warranty. Check out the 3D TOUR! NEW ROOF!! NEW HVAC!! 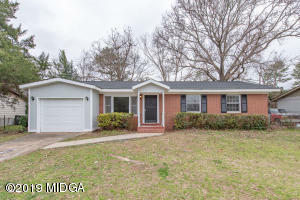 This lovely ranch home sitting on 1 ACRE has just been renovated with brand new finishes; new paint, new floor, new granite counter-tops, new back splash and all new fixtures. The open floor plan encompasses three spacious bedrooms with plenty of room for study, sleep, storage. Cozy up to the fireplace in the living room. The covered patio is ideal for coffee in the morning. Don’t miss out! 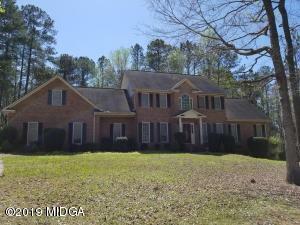 Enjoy the sidewalks and great neighbors in this highly desirable North Macon neighborhood just off Forsyth Road. Huge kitchen cooks will love and master suite with all the extras. Freshly painted inside and hardwood floors/marble throughout main. Lower level features bonus areas, exercise room, additional living areas and bedroom/bath. Room for everyone and everything! !